Get Soft Mozart Coupons from the Points Redemption Center! - . :Early Learning Community:. 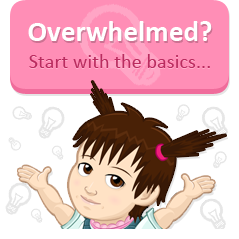 BrillKids Forum > Product Partners > Get Soft Mozart Coupons from the Points Redemption Center! Get Soft Mozart Coupons from the Points Redemption Center! Hi everyone, we would like to introduce our newest product partner -- Soft Mozart! Learn to play the piano with Soft Mozart! Soft Way to Mozart® is a unique curriculum for teaching music, piano and music literacy through piano. For more information about the new Soft Mozart discount coupons, go to this page. Learn more about how Soft Mozart works, visit their official website. If you have any questions or clarifications about Soft Mozart or their discount coupons, do feel free to send a personal message (PM) to SoftMozart here at the forum, or post your questions in this topic! We hope you enjoy the new Soft Mozart discount coupons! By the way, the great people from Signing Time have given us more discount coupons for their products, and the new coupons are now available at the Points Redemption Center! Re: Get Soft Mozart Coupons from the Points Redemption Center! Wonderful! this is a great natural progression from Little Musician! So the coupons states its for the "full program" does that mean perpetual or has Hellene offered the discount for a 6, or 12 month subscription? or the entire store? 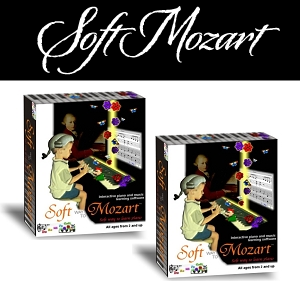 Just asked and received confirmation that the 10% and 30% discount coupons apply to both the Substitution (time-limited) and Perpetual (unlimited) copies of the Soft Mozart software. Also, please note that we have a limited number of Soft Mozart coupons in stock and the coupons will expire on June 5, 2013. We've added the expiry date and details on the applicable products to the coupon page too. About the Wink to Learn coupons, we'll see about that once we need to restock on those. Hello! I wanna ask if I can use the 30% coupon on the 12 month subscription of Softmozart? I would be happy to help you with getting the discount for certification program! Please, email me directly to discuss that! Kim than, never mind. All the money you have spent so far will come off the price of your perpetual copy of softmozart. So in the long run it is all the same $$$$ if you plan to use it long term. You can get further discounts by participating in the softmozart forum also. I am trying to figure out how to get a 30% discount for a Perpetual copy of the Soft Mozart Software. When I go to the redemption center, I only see coupons for a 10% discount.